Kenya is the country with the highest diversity of weaver species (over 60 species) of any country in the world. Thus part of the Project for the Enhancement of Research Capacity (PERC, UCT) funding was to hold PHOWN (PHOtos of Weaver Nests) workshops in Kenya. The first was hosted by the Ornithology section of the Nairobi National Museum. The second workshop was hosted with A Rocha Kenya and the Kenya Wildlife Service at Gede Forest Station, KWS Education centre, Watamu on the Kenyan coast. 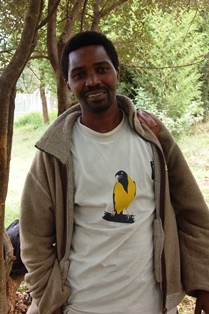 Many weavers in Nairobi were breeding, although others had finished. On the coast weavers tend to breed in the second rains, but there was one active Village Weaver colony. To see more photos and a trip report see here.